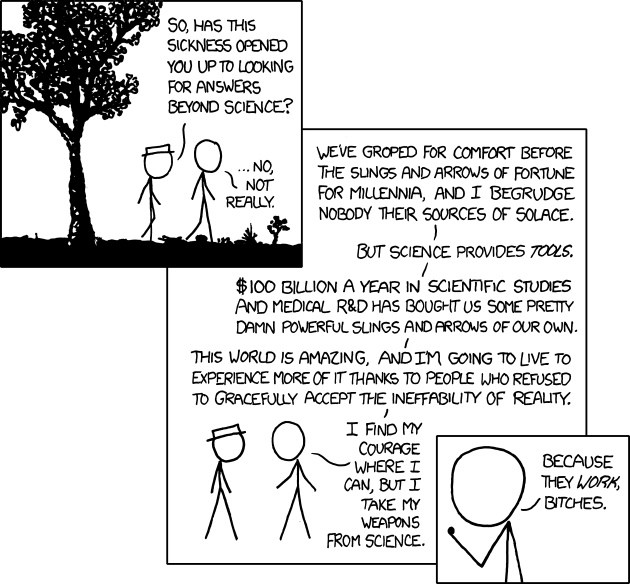 Thanks Dr. Grasshopper – I am now a fan of xkcd. Funny stuff! Excellent. It always makes me happy when I get the opportunity to show someone something that is completely delightful. A fair warning: if you use the “random” button to read the archives, you will look at your clock suddenly and realize that you’ve inadvertently spent at least four hours of your day without realizing it. True that. 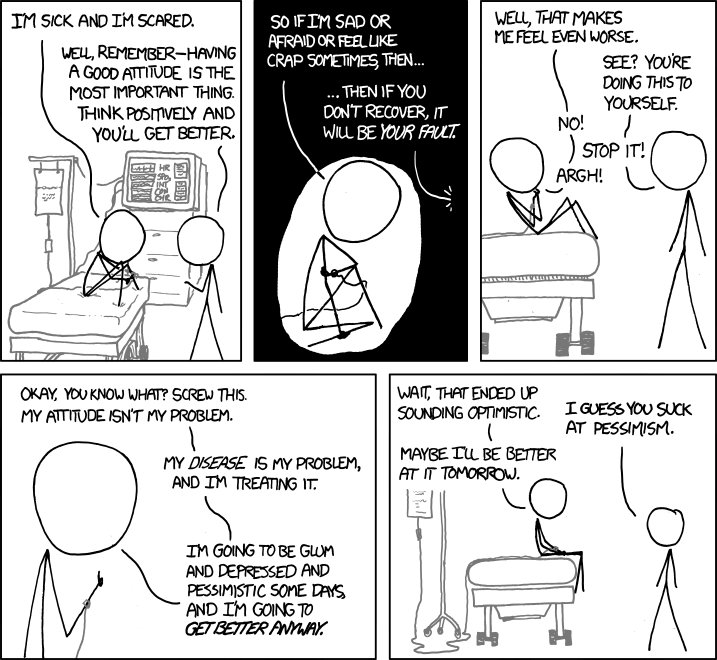 Apparently, things seem to be getting better for him 🙂 I’ve been an avid reader of both, xkcd and your blog, for quite some time now – and think it’s awesome that you’re able to help others in such an appealing manner ^_^ Med student myself, I find your posts uber-enjoyable! Let me know if you have any questions about the whole med school process! Isn’t it frustrating and delightful? Yes! That’s precisely how I’d describe it! I love how enlightening it all is – especially since I’m studying Neurophysiology now.